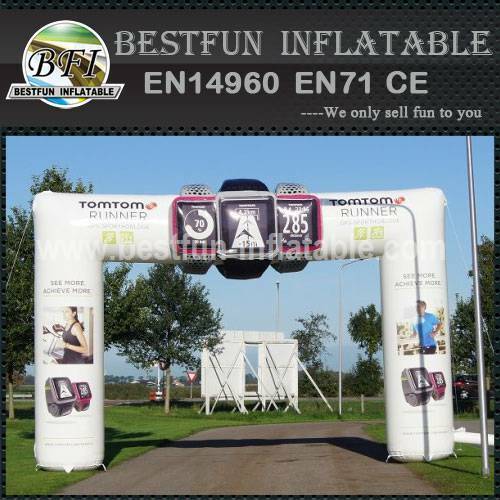 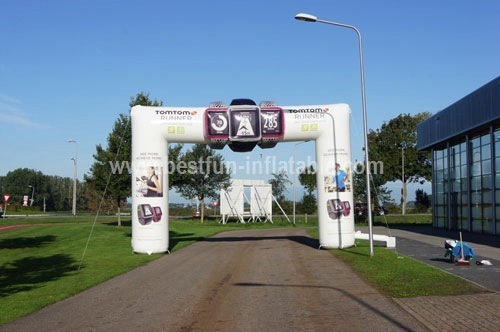 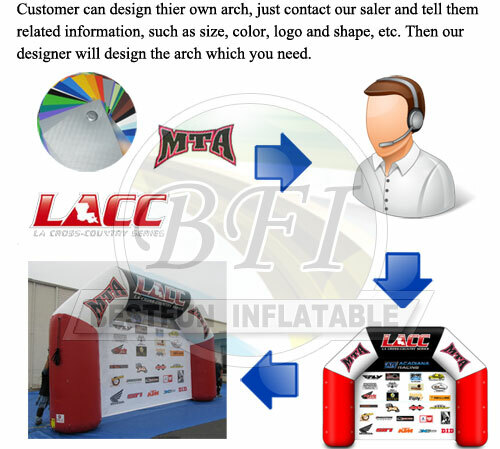 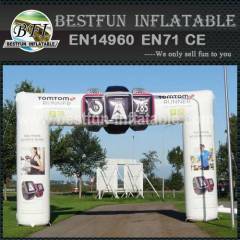 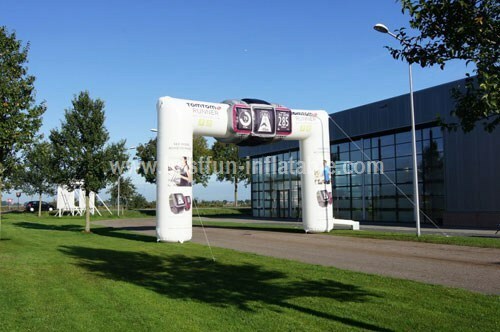 Inflatable arches products are recognized to symbolize the start and finish at sporting events such as foot races, rallies and cycling. 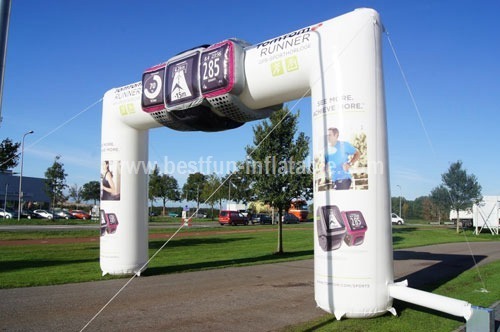 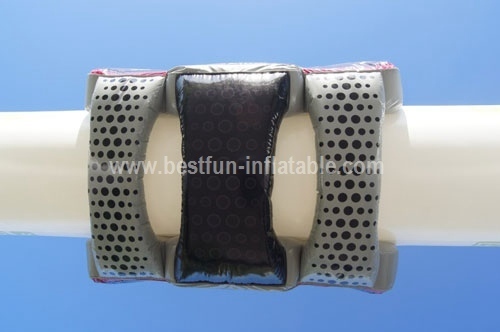 In the past, inflatable arch was used frequently start and finish of a race. 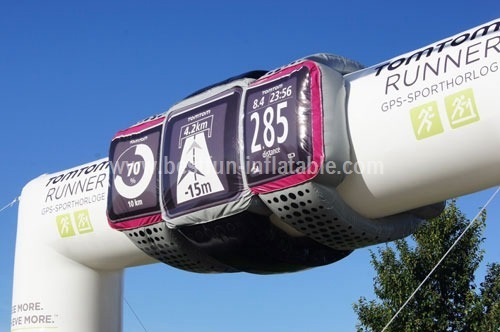 Now ark also placed on various points of the course. 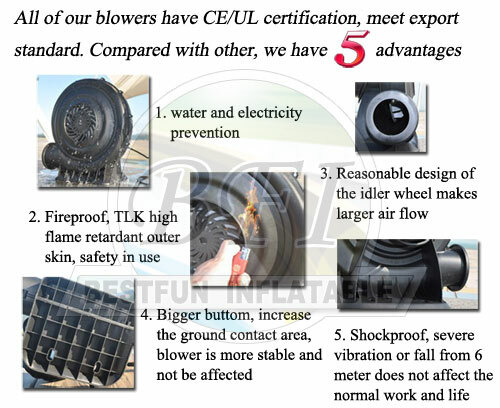 Accesories: Blower, repair kit, strap, glue water, warning sign etc. 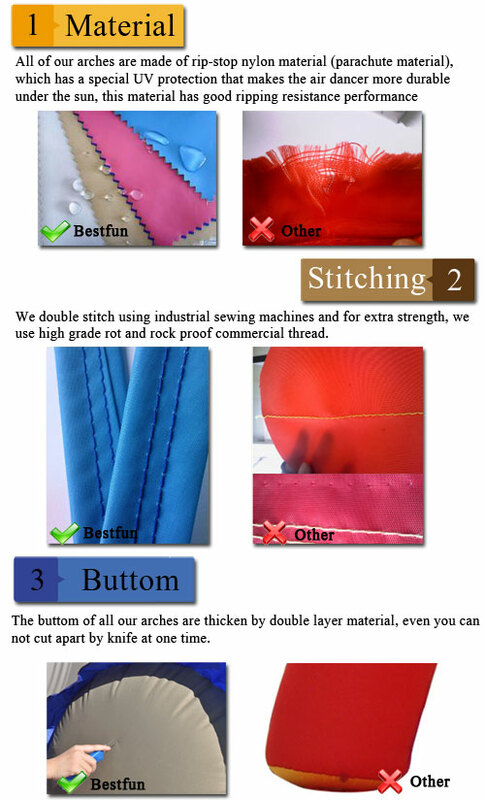 Technology: All seams are double stitched (triple to quadratic stitched in sensitive parts) and reinforcement strips stitched on all mattress seams.